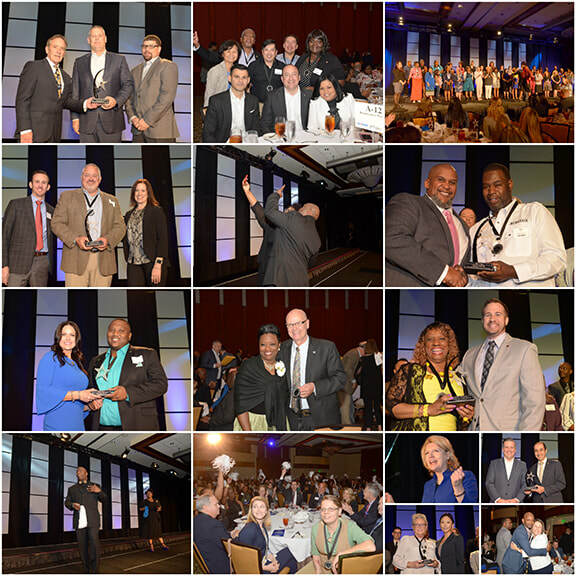 On April 13, 2018 more than 750 hoteliers gathered for the Georgia Hotel & Lodging Association (GHLA) industry-wide celebration at the Omni Atlanta Hotel at CNN Center to pay tribute to the finest employees and properties in Georgia's lodging industry. Representatives from Georgia's top hotels attended along with their honorees for this statewide awards recognition program. The purpose of this program is to provide the lodging industry with a forum to bestow recognition to lodging industry employees from the front of the house to the heart of the house and to recognize outstanding property-wide programs and initiatives. The theme for this year's awards celebration was "Celebration of Champions." GHLA acknowledged the winning attributes behind each of the men and women nominated for this esteemed honor. "Our industry is blessed with incredible men and women who are committed to excellence and offer first-class service," says Jim Sprouse, Executive Director of GHLA. "It is an honor to pay tribute to these stars and to share their amazing stories with industry peers." GHLA launched this program in 2007 as a means of providing recognition to top industry programs and personnel in all facets of the lodging industry. Hoteliers have embraced this program with enthusiasm by submitting nominations of their own staff, and then by joining with their peers to celebrate the accomplishments of the entire industry. ​GHLA received a total of 304 nominations submitted by 67 properties. The Association assembled a panel of esteemed judges with lodging and tourism expertise to evaluate all nominations and designate award recipients within each category. Entries were evaluated in six property award categories and eight employee award categories. 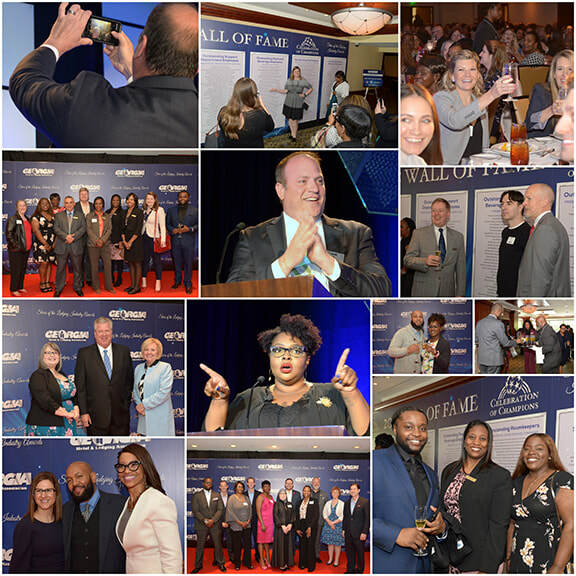 During GHLA's March luncheon celebration, every nominee was recognized amid industry peers, and 48 award winners were named. GHLA extends our sincere appreciation to the generous Platinum Level Sponsors who made many of the elements of this event possible: Encore Event Technologies, Georgia State University Cecil B. Day School of Hospitality, Omni Hotel Atlanta at CNN Center, and Shepard. Our Gold Sponsors were: Berman Fink Van Horn P.C., Booking.com, Expedia, Inc., Georgia World Congress Center, Martino-White Printing, Parking Management Services, and Reis Birdwhistell Photography. Our Silver Sponsors were: Choice HR, Heartland Payment Systems, ON Site, Royal Cup & Tea, Southeastern Laundry Equipment Sales, and Yellowstone Landscape. Our Bronze Sponsors were: Go 4 Satellite, Inc., Hill Mechanical and Rolyn companies. Below is a list of the winners named in each award category. To view a photo album of this event, click here. Below are the properties and individuals honored at GHLA's Stars of the Lodging Industry Celebration April 13, 2018. These people were chosen from 304 nominations submitted.